For a long time, high street agents have been the main players in the property rental market, with landlords and tenants paying high prices for their services. Georgeson’s solution? RentalStep, a unique online platform uniting tenants and landlords with “a timeframe of renting property” and all the services needed to complete the rental process “at a much lower cost than if the tenant or landlord had gone to an agent”. Tenants using the innovative platform can build a comprehensive TenantPassport showing their rental history and TenantScore in one place, and through RentalStep’s partnership with Experian, users can even boost their credit score with each punctual rent payment. 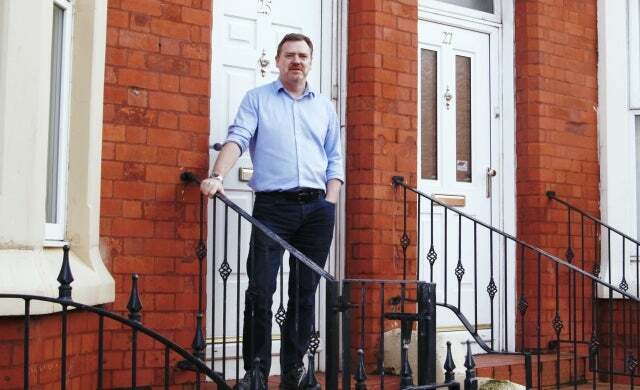 Georgeson also has considerable experience of running businesses, with Liverpool-based RentalStep his third start-up venture. “We started [the previous two] with nothing and built them up organically – it was tough at times but a great experience,” he reflects. So, when he came across the Start-Up Series competition – ran in partnership with experienced investors Worth Capital – he did his own “due diligence” on Worth Capital: “I saw [the businesses] invested in before and got in touch with an investee. […] They said Worth were down to earth and really friendly.” – Exactly what Georgeson was looking for in an investor. After being shortlisted, Georgeson submitted a detailed business plan and later underwent a video interview with Worth Capital. Enter your business in the Start-Up Series here. Now, Georgeson plans to use the funding to supercharge website development and marketing. The side of the website for landlords will be developed, while the tenant-focused offering will be marketed to university students through a Facebook advertising campaign. The investment will enable the business to “put a plan and a really good team in place” to spearhead efforts. On the back of these developments, Georgeson plans to launch RentalStep’s tenant-focused operations at the end of this month, with a development plan in place to launch landlord-focused operations in July. “We want to be leading a rental revolution,” Georgeson says. Through “transparent, open and friendly” branding, Georgeson intends for RentalStep “to become a trusted voice for tenants and landlords […] known as the intermediary looking after both parties, making sure everyone’s getting along not fighting against each other”. Though Georgeson confesses that he is still “in awe” of the world of investment, on his involvement with the Start-Up Series he says his “first foray into investment funding has been brilliant”. Are you looking to kickstart your business with a funding boost? Startups.co.uk has partnered with Worth Capital to launch the Start-Up Series, the UK’s largest seed funding competition, with one early-stage business per month given the chance to win £150,000 SEIS equity seed investment. To be in with a chance of winning, enter here!